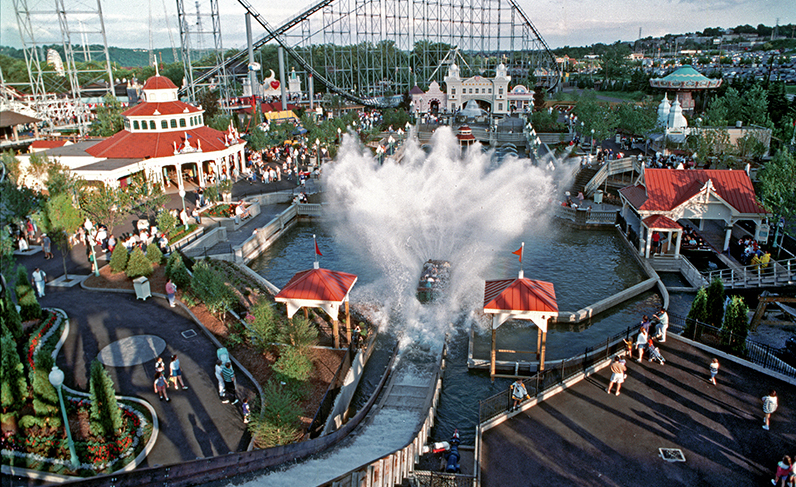 Kennywood: Behind the Screams, Pocket Edition takes long-time fans and new visitors on a walking tour through Kennywood by exploring the history at each ride and attraction. Founded in 1898, the park has layers of history that tell of changing architecture, entertainment, and regional history, all brought to life by more than 300 vintage photos — many never-before-seen and in color. 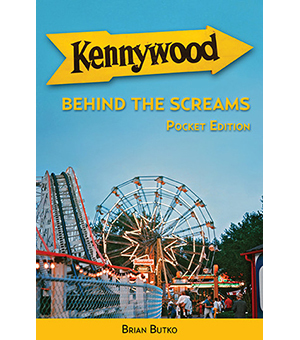 This “pocket-sized” edition is the first of three books exploring Kennywood, Luna, and other regional parks; look for a coffee-table edition in 2018. This little book is packed with revelations, surprises, and tons of cool stuff I never knew before. Add it to your picnic basket from now on! Read the transcript for the Jack Rabbit video. Read the transcript for the Grand Carousel video. Read the transcript for the Turtle video. Read the transcript for the Penny Arcade video. Read the transcript for the Noah’s Ark video. Read the transcript for the Carousel Organ video. Read the transcript for the Lost Kennywood video.